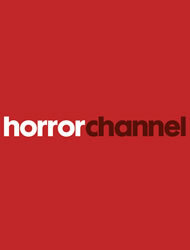 Horror Channel is the UK’s first TV channel dedicated to the dark side of cinema and television. Broadcasting on Freeview 70, Sky channel 319, Virgin 149 and Freesat 138, it’s the UK’s number one destination for both classic and new horror movies, plus supernatural and Sci-fi series. Clout PR is retained to handle all corporate and consumer press and publicity for the channel. Copyright © 2019 Clout Communications Ltd. All Rights Reserved.